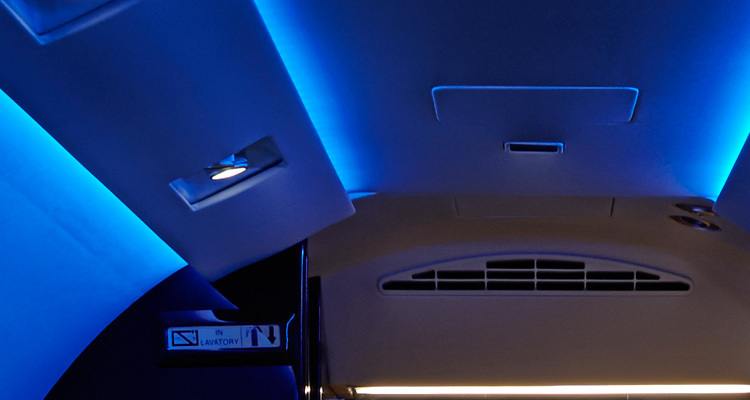 The JBRND LED Wash Light is designed to replace standard fluorescent or cold-cathode tube lights and provide lighting for the interior passenger cabin areas of the aircraft. Typically, the lighting is used as an indirect light source along the length of the general seating area of the cabin but is also suitable for other areas such as galleys and lavatories. The JBRND LED Wash Light is a non-essential electrical item and aircraft power to the system is controlled by dedicated circuit breakers. 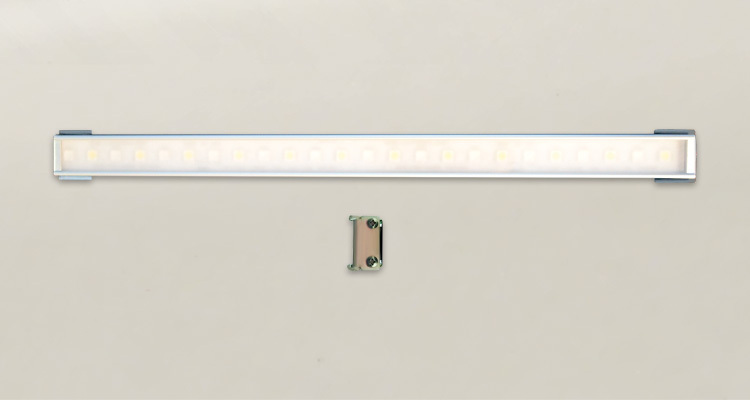 Power may be supplied to JBRND LED Wash Lights through the use of the Cabin Management System (CMS) or through the use of cabin installed switches that control the ON/OFF function of the LED Wash Lights. For most installations, the wash light illumination is simply projected through the gap between the cove panel and cabin wall/ceiling surface. The look or effect of the light depends on the gap and the distance of the light as recessed from the opening, a softer or harder edge of light is created. JBRND LED Wash Lighting, along with other JBRND lighting solutions can be controlled using our Flight Lights app for iOS and Android. Just open the app, and have full control over aircraft lighting. 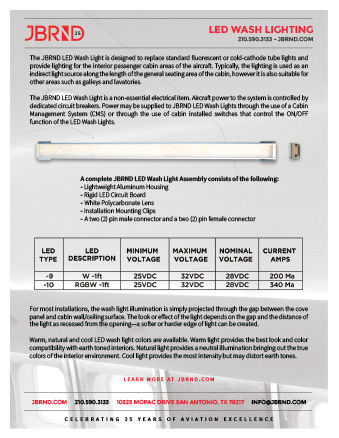 Get the JBRND brochure for our wash lighting. The brochure is one page, in PDF format, ready for printing. If you are interested in any other JBRND brochures, make sure to visit our Downloads Section, where there are many others available. As always, just get in touch if you have questions. JBRND's LED Wash Lighting is making aircraft look beautiful all over the world. We look forward to discussing your project. Get in touch with us today to get more information by clicking the button below.